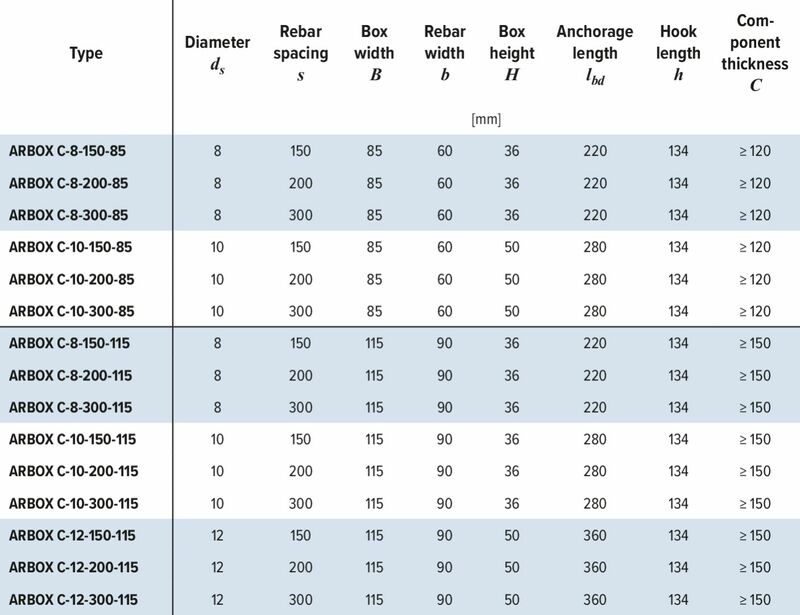 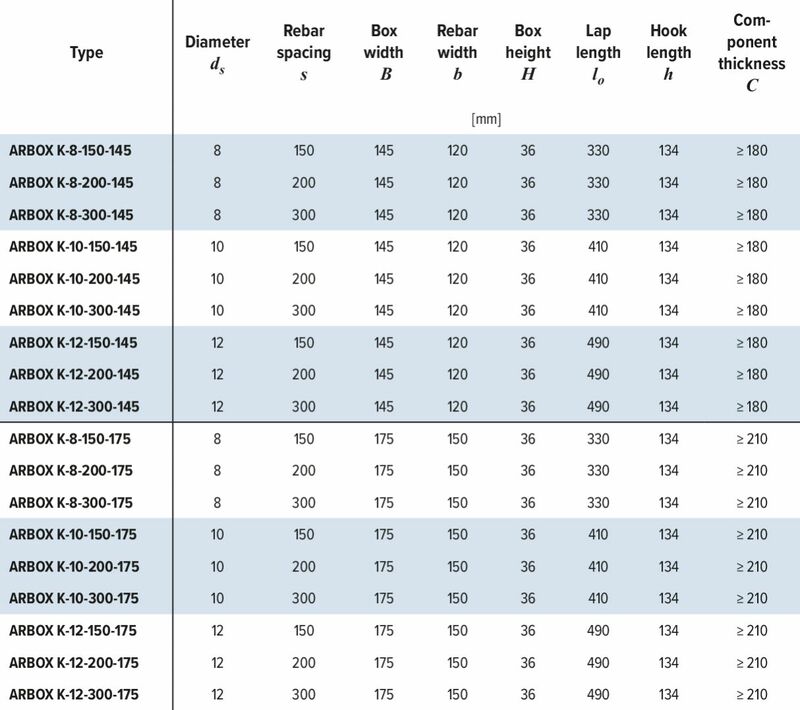 The pre-bent rebars of ARBOX® are hidden in a galvanized steel box and can be straightened when needed. 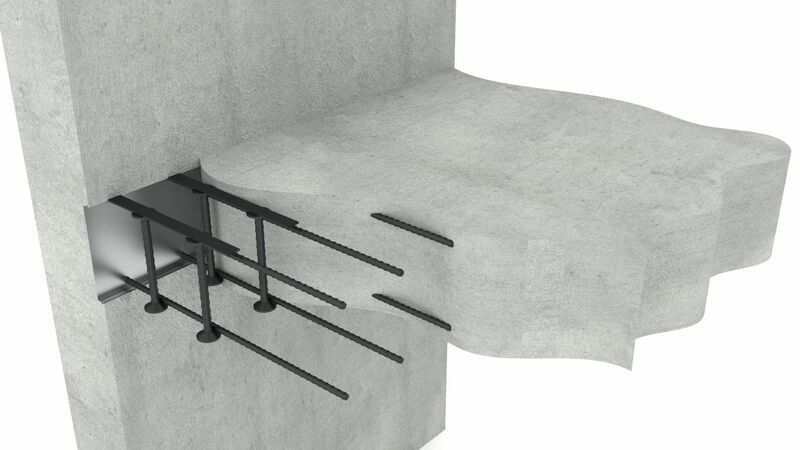 This system increases safety on the construction site and enables fast construction of connections in both cast-in-situ and precast structures. 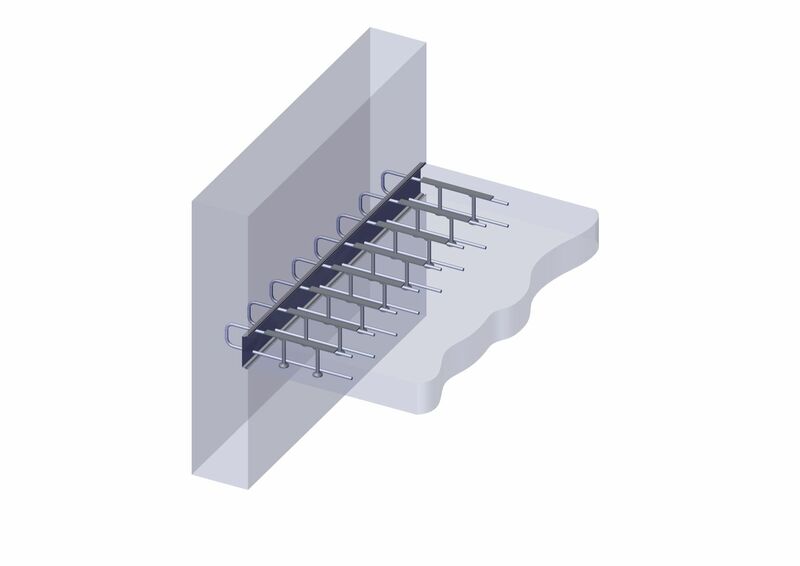 ARBOX® model A has two rows of anchor bars where the straight anchor bars of the reinforcement are bent inside the box. 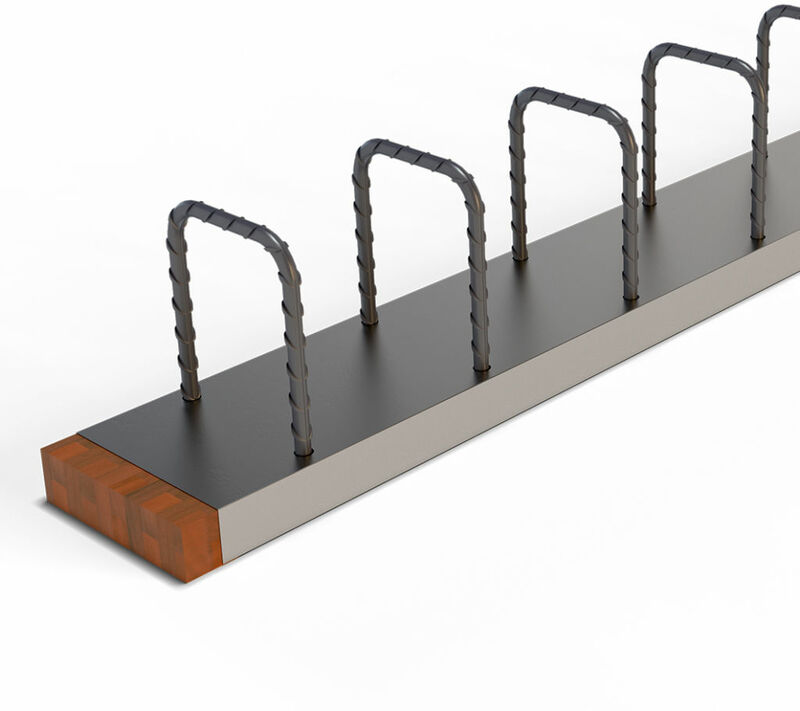 ARBOX® model K has two rows of anchor bars, and the loop part of the reinforcement is bent inside the box. 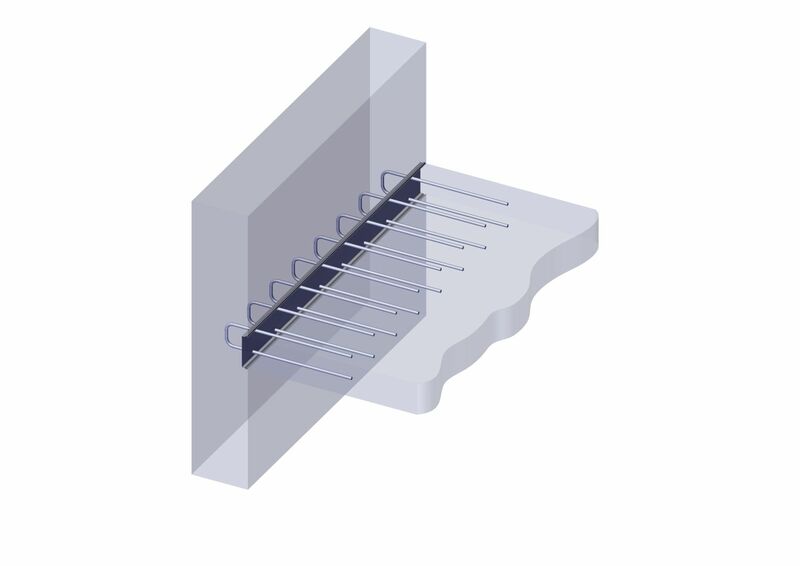 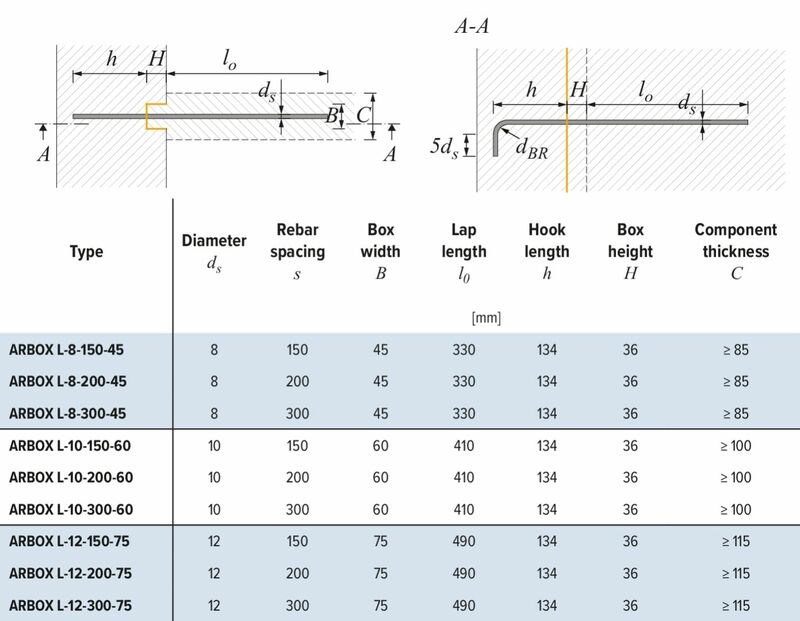 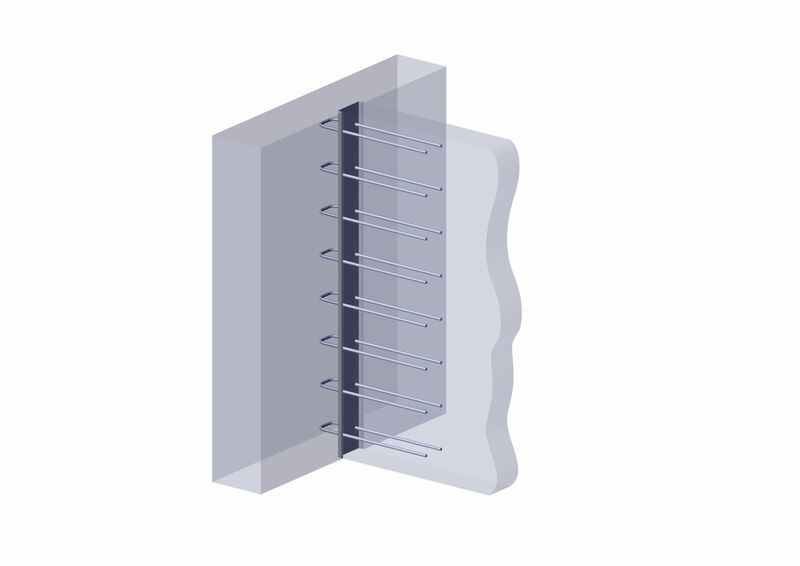 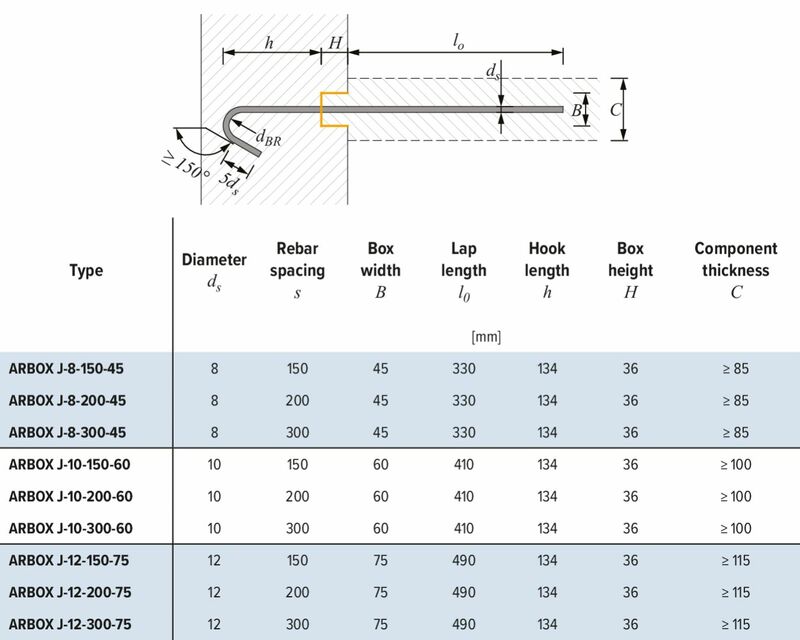 ARBOX® model C has two bended rows of anchor bars where the loop part of the reinforcement is bended inside the box; designed primarily for short cantilevers. Dimension l1 is made to order. 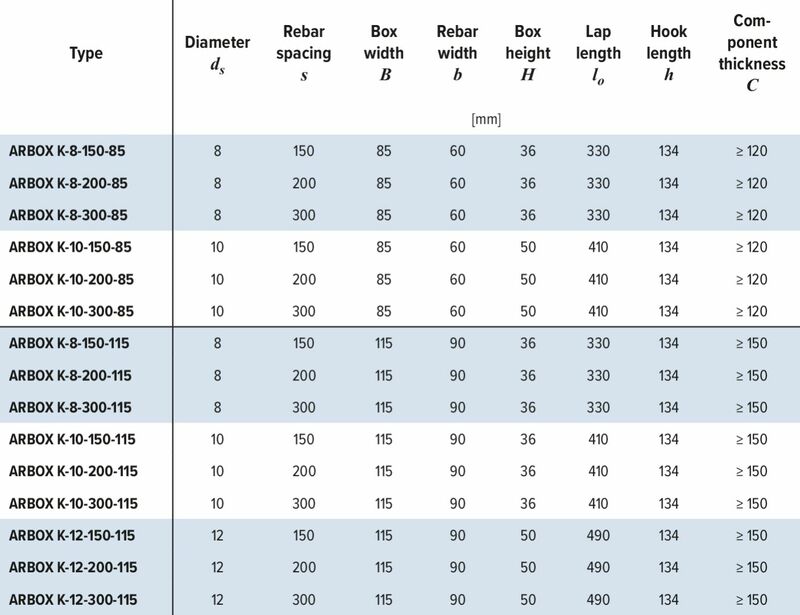 Dimension l1 is made to order. 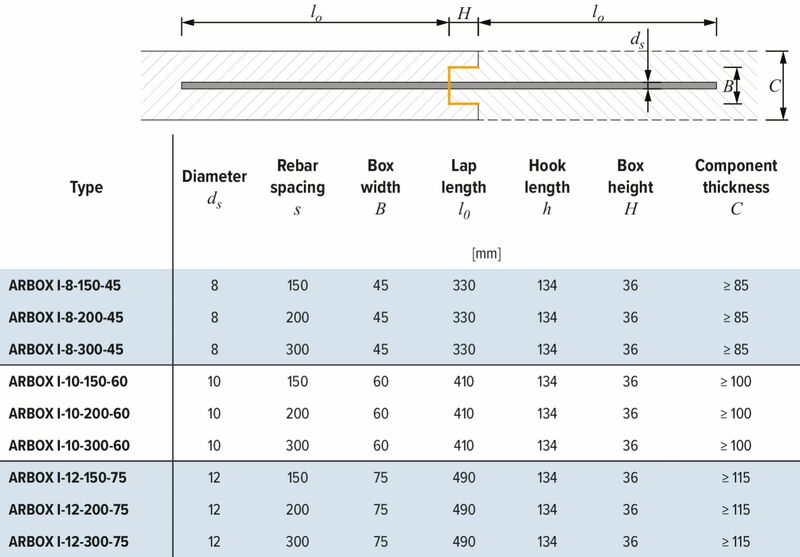 ARBOX® model L has one row of anchor bars with a hook parallel with the box and the straight part of the reinforcement is bent inside the box. 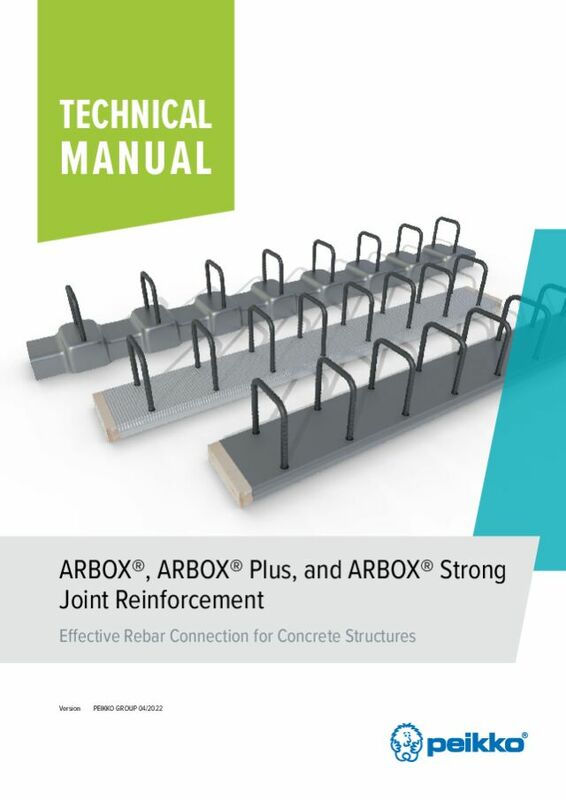 ARBOX® model J has one row of anchor bars with a hook parallel with the box and the straight part of the reinforcement is bent inside the box. 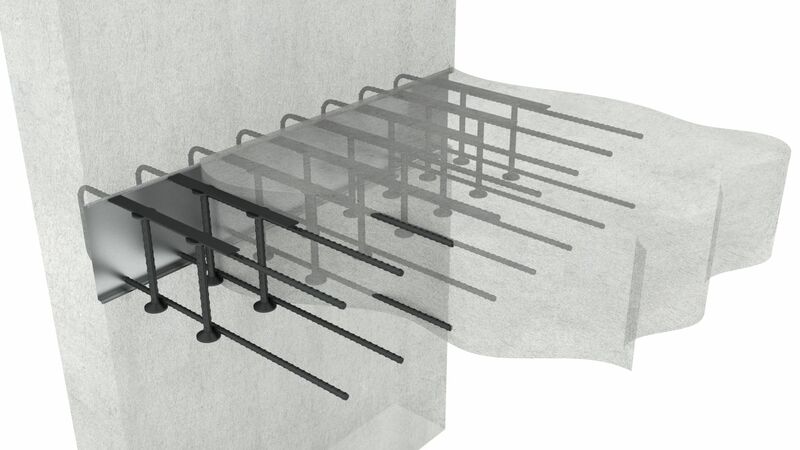 ARBOX® model I has one row of straight anchor bars with one end of the bar bent inside the box.